It is with a heavy heart that we announce that our friend and colleague, Professor Grace Jones, has passed away peacefully after a prolonged illness. She was a dedicated teacher, scholar and scientist and will be missed by all. She was in the loving embrace of her dedicated husband, Dr. Davy Jones, at the very end. Dr. Jones was born in Hong Kong. She moved to the United States and studied Biology at Belmont Abbey College in Belmont, NC. She then received a Master’s degree from Jacksonville State in Jacksonville, Ala., before moving to Auburn University, where she received an Ed.D. in Science with a specialty in Entomology in 1978. She conducted post-doctoral research at Texas A&M University (1979) and at the University of California at Riverside (1980). She then received another doctorate from the University of California at Davis, a Ph.D. in Entomology in 1983. In 1984, she joined the faculty of the Department of Entomology at the University of Kentucky and rose to Associate Professor in 1990. She then moved to the University of Kentucky’s School of Biological Sciences in 1991, rising to Professor in Molecular and Cellular Biology in 1999 in the renamed Department of Biology. 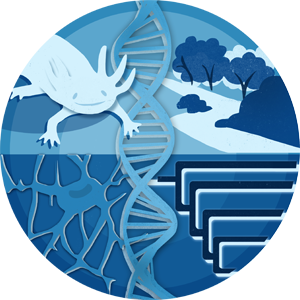 Her research, most of which was with her long-time collaborator, companion and husband, Dr. Davy Jones, focused on mechanisms by which hormones regulate developmental programs of gene expression. She was particularly interested in the processes by which insect hormones such as juvenile hormone and ecdysteroids, such as ecdysone, control the timing of insect metamorphosis, particularly at the level of hormone receptors within the nucleus of the cell. Dr. Jones was a superb, internationally recognized scientist, even as her health declined over the past 18 years, but she continued to work on teaching and research throughout. Over the course of her research career, Dr. Jones had received millions of grant dollars for her important studies from the National Institutes of Health and National Science Foundation, and published more than 100 research articles in prestigious journals such as the Proceedings of the National Academy of Sciences, USA, Journal of Biological Chemistry, and Molecular and Cellular Endocrinology. She and Davy also received a patent in 2007 for a method to identify drugs that interact with insect nuclear receptors, which could be used for biological control of pest species. Over the years, students have expressed great admiration and love for Professor Jones in letters and emails, and eminent scientists have expressed their high regard for her work. A Grace Jones Memorial Fund for Family Support has been set up. Donations can be sent to the UK College of Health Science c/o Loralyn Cecil, 900 South Limestone 124E, Lexington, KY 40508 or on-line at https://karrn.org/. Her infectious smile will be missed in the halls of Biology, as she had her daily walks, arm in arm, color-coordinated with her husband, Davy, a testament to devotion and love. 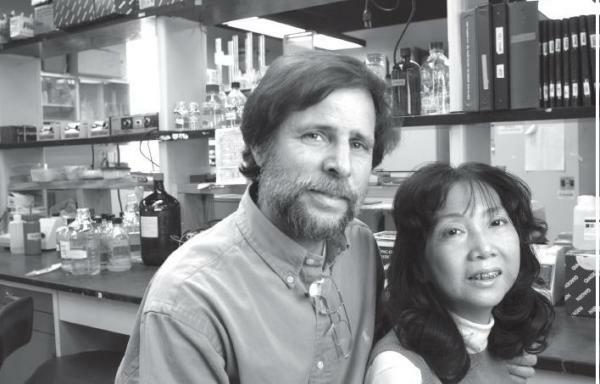 Dr. Grace and Davy Jones in their laboratory in 2005.